Redwood and cedar are popular wood choices for decks due to their good looks and long wear. Some deck owners opt to paint or stain the surface while others prefer to showcase the natural beauty of the wood. Whether painted or natural, regular cleaning prolongs the life of your deck and keeps it looking like new. 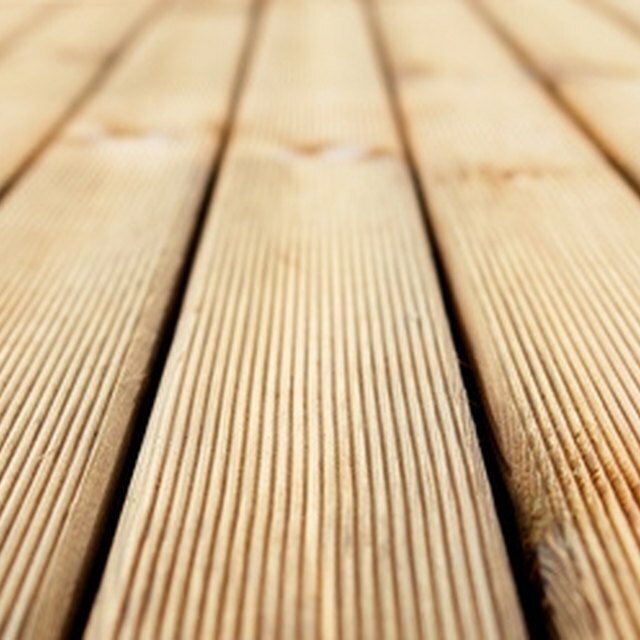 Oxalic acid is one of several substances primarily used to brighten redwood and cedar decks. Oxalic acid brightens redwood and cedar decking. As a deck ages and is exposed to the elements, a natural substance known as tannin causes redwood or cedar deck surfaces to become grayed and appear weathered. Oxalic acid removes tannin as well as rust stains. The acid also helps to neutralize the sodium hydroxide treatment often used by professional deck cleaning companies to clean and brighten decks. Oxalic acid's main benefit is aesthetic. It does not work well as a dirt remover, nor is it effective at killing mildew. Sodium hydroxide and chlorine bleach are the two chemicals most often used by professionals for deck cleaning. While they are more effective at deep cleaning than oxalic acid, they may cause surface damage to the wood over time. Chlorine bleach is excellent for wood brightening as well as killing mold and mildew, but must be combined with a detergent to clean well, and long term use of this harsh substance is hard on a deck's surface. Bleach breaks down lignin, a component in wood fibers. Over time, the surface of the deck may begin to whiten and fuzz as a result of this fiber breakdown. Sodium hydroxide, also known as lye, is highly caustic. Treatment with sodium hydroxide must immediately be followed by a neutralizer such as phosphoric or oxalic acid to protect the wood. Other deck cleaning substances include trisodium phosphate (TSP), citric acid, or an environmentally friendly option, disodium peroxydicarbonate oxygen-based bleach, which must be used within six hours of mixing and cannot be used on new wood. Each of these substances will remove dirt and debris but are less effective at killing mildew than chlorine bleach and may not brighten the wood of your deck as well as oxalic acid. Many homeowners opt for a two-step treatment for redwood or cedar deck maintenance, using one substance for cleaning and mildew removal with a follow-up oxalic acid treatment for brightening. What Is Bad About Bamboo Decking?